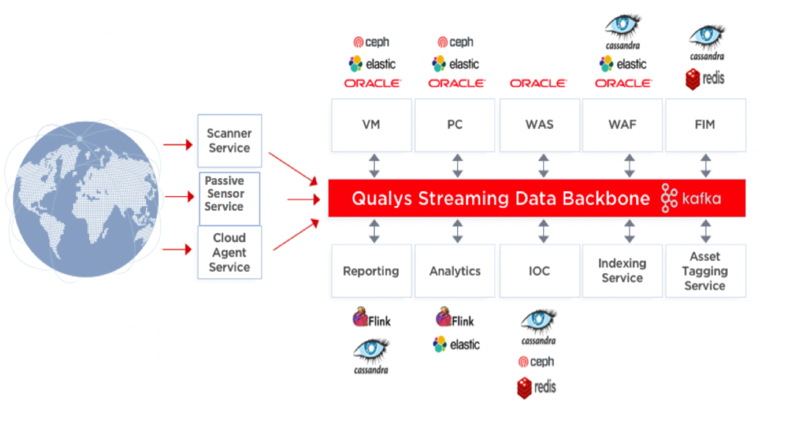 Eliminate blind spots: The Qualys Cloud Platform aggregates asset telemetry from Passive Network Sensors, network scanners and always-on cloud agents to provide a comprehensive, detailed and multidimensional inventory of all IT assets across hybrid infrastructures, including unmanaged devices such as BYOD and rogue IT. PNS also helps discover and profile assets that for different reasons can’t be actively scanned nor monitored with cloud agents, such as industrial equipment, IoT and medical devices. Expected beta available in Q3 2018. Identify suspicious traffic: PNS provides deep packet inspection to continuously analyze and detect suspicious traffic. The Qualys Cloud Platform then correlates these network anomalies to other indications of compromise. Expected beta available in Q1 2019. 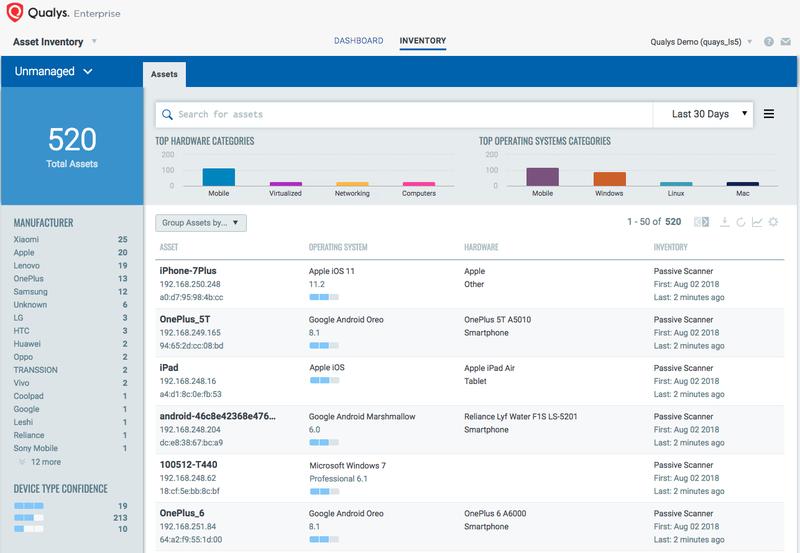 Secure and control network access: Native integration with network access control functionality, resulting from Qualys’ acquisition of Nevis Networks, enables customers to respond to threats automatically by controlling access to critical resources. Network access control, informed by PNS real-time detection, autonomously protects the network by quarantining non-compliant devices based on established policies and security posture. Expected beta available in Q1 2019.